Anita Kerwin-Nye, founder of Every Child Should, has written a blog for CLOtC. My love for the outdoors and the role it has played in my personal well being is well documented. Similarly, how outdoor residentials and adventure learning took me down a very (positive) different path to the one I could have gone down. So, I am particularly delighted to have joined the Institute for Outdoor Learning as an Advisor and pleased that part of this role includes working for the Outdoor Council on their campaign to take outdoor learning to more children and young people. I am thrilled that CLOTC Sector Working Group are supporting this growing campaign group. The benefits of outdoor and adventure learning are well evidenced – for individuals, for families, for communities and for society. And we know that there is much excellent provision. But we also know that those who could benefit the most are – as is so often the case – those who access it the least. 2016 Natural England research showed that 1 in 10 children and young people had not been to a park, forest, beach or other natural environment in the last 10 years. Tom Bennett – the government’s advisor on behaviour –has articulated concerns that children are not being exposed to and supported in managing risk. This links to several studies on schools being risk adverse and that Heads are increasingly concerned about financial and professional penalties. There is though demand. A recent survey commissioned by Bohunt Academy Trust outlines that most adults believe outdoor learning to be important and several recent surveys have called for outdoor learning, school trips and adventure to remain at the core of a rounded experience for children and young people. And we know it works. Education Endowment Foundation confirms that Adventure Learning in its own right has a positive impact and we know that its impact on meta cognition, team work, communication and ‘resilience’ can be significant. It is a key contribution to what the Department for Education has identified as ‘life skills’. The evidence tells us that the best outcomes will be achieved with a progressive experience – developing knowledge, skills and passion for outdoor learning from the early years into adulthood. We know what works – our challenge is how to take this to more children and young people in a way that sets up good habits for life long engagement with the outdoors and adventure. This summer the Outdoor Council will launch ‘Born Outdoors’ – a new campaign to pull together the adventure learning and outdoor sector with a focus on building outdoor learning programmes around every child. “ensure that the 750,000 four-year olds entering reception classes in September 2022 will be guaranteed high quality outdoor learning throughout their school life and through a rich set of family, youth work and community experiences”. Outdoor Council want the children born in 2017 to be a generation ‘born outdoors’. We want them to have experiences at every age and stage of their childhood that move them towards being a generation of ‘outdoor citizens’ when they turn 18 in 2035. This will help create a generation of resilient and healthy adults with a respect for, knowledge of and skills in life outdoors. Who have experience adventures throughout their childhood and understand how to manage risk and challenge. A generation whose academic success has been aided by the impact of effective outdoor learning. A generation of future parents who know that outdoor education is a must have for their own children. A generation connected to nature in way that benefits their physical and mental well-being. A generation better equipped to address the challenges facing the environment. Over the coming months we are working on two specific pieces to support schools and the outdoor and adventure community. The Institute of Outdoor Learning – with some support from Natural England – have started work on a progression framework for outdoor learning that looks at what a progressive ‘outdoor learning passport’ might look like from a child’s perspective. This will be tested with the outdoor learning sector, parents, young people and schools over the months ahead. Recognising the import of ensuring that in 2022 this group of children are entering primary schools that need to be equipped to support outdoor learning the Outdoor Council has committed to a specific piece of work on developing the ‘outdoor learning’ primary offer. A scaleable model – developed with primary school and education partners – that builds the capacity of every primary school to support high quality outdoor learning. Born Outdoors will be a key theme of November 2018 Outdoor Learning Conference which will bring together the largest gathering of schools and outdoor learning professionals to consider the next steps in adventure learning for all. Every child born outdoors and every adult a citizen of the outdoors. Anita Kerwin-Nye is one of two founders of Every Child Should, a new campaign to ensure all children can access a rich and rounded set of experiences by the time they are 18. Anita is a long terms advocate (and deliverer) of enrichment activity in and out of school and especially for those who need it most. Every Child Should draws on her 20 year history working with organisations to support access to culture, the arts, the outdoors, residentials, citizenship, financial education, first aid, conflict resolution and wider life skills: for all not the few. Previously Anita founded The Communication Trust, a collaboration of over 40 charities working in the field of speech, language and communication. These charities – often competitors – worked together under Anita’s leadership to develop and deliver a UK-wide programme of support to schools, parents and young people. Anita is a qualified teacher and youth worker and spent her early career working in challenging schools, prisons and estates in Brighton and East Sussex. In the modern digital world, many children spend more time than ever in front of a screen. There’s also an increase in the number of sleep disorders amongst children. While digital learning has its place, the benefits of learning outside the standard classroom environment have more than an academic impact. Turning off the screens helps children sleep better, which in turn enhances learning, mood, and overall health. School-age children need anywhere from nine to twelve hours of sleep each day. Without adequate rest, more than their attention spans suffer. The immune system doesn’t work at full capacity, which leads to more illnesses that last longer. Concentration and short-term memory are reduced, making it hard for sleep-deprived children to reach their full academic, and sometimes social, potential. Mood and behavioral control also suffer. Consequently, lack of sleep can lead to cranky, distracted children who have a hard time paying attention. However, there are ways to help your child get more of the high-quality sleep he needs be happy, healthy, and successful. Today’s children spend, on average, six and a half hours on a screen. While some of that time may be spent learning at school or doing homework, a good portion is spent playing video games, on social media, or chatting with friends. That much screen time has a detrimental effect on your child’s ability to sleep at night. Circadian rhythms control the sleep-wake cycle. These rhythms rely on natural light to time the release of sleep-inducing hormones. The bright blue light from televisions, e-readers, smartphones, and laptops suppresses the release of melatonin. Essentially, the brain thinks it’s time to be awake. Teens are more susceptible to blue light than adults, so it wouldn’t be unexpected for a teenager to be up far later than usual after playing video games or texting friends. Turning off the screens at least an hour before bed can your child get better sleep. Outside play has incredible benefits for a child’s sleep. The physical exertion alone helps them to feel more tired at night. Rather than sitting in front of the screen using a minimal amount of energy, your child can run, play, and create, which builds strong muscles and bones while helping to wear out his body for better sleep. Outside play also stimulates the brain and promotes healthy social relationships. Physical exertion, like playing outside and exercising, not only makes your child more tired but also helps to establish healthy circadian rhythms. Time spent out in the sun keeps the brain on track for a regular sleep-wake cycle. An Australian study found that for every hour children spent working on screens, their sleep suffered. Each hour of screen time led to shorter sleep duration, taking longer to fall asleep and being less likely to sleep more than 10 hours. Conversely, sending children outside may improve children’s sleep patterns. Since children retain information more easily and control their moods better with more sleep, sending them out to play instead of staying inside may improve their ability to perform academically. While reducing screen time and encouraging more outdoor play are helpful to better sleep, some kids may need more. Start by making sure your child’s bedroom supports healthy sleep. Find a mattress that is supportive and free of lumps or sags. Even an air mattress can be a good choice if it’s comfortable at night. During the night, keep the bedroom cool, quiet, and dark. It’s also important to keep a consistent bedtime. If your child has a hard time falling asleep at night, try implementing a bedtime routine to help signal the brain to release sleep hormones. Any calming activity like reading a book, listening to quiet music, or singing a song can help quiet the mind and body. Just be sure to stick to the routine and start it at the same time every evening. For more information visit the Tuck Sleep website. Blog written by Peter Carne OBE, National Learning Adviser to the Learning Away consortium. Many students say that residentials are the most memorable experience of their time at school. But how often do we hear about the many positive impacts they have on the adults participating? Peter Carne, the national adviser for Learning Away, describes some of the benefits of taking part in a residential for teachers and other staff in schools. During the five-year ‘action research’ phase of the Learning Away programme, the views of all the staff involved were gained in focus groups and surveys. The residential allowed them space and time to develop new ways of teaching and learning and, having used the residential to successfully test these approaches, felt confident to incorporate them into their practice back in school. They had become more experimental and flexible in their teaching, were more willing to take risks and had confidence to try different types of teaching. They were more trusting of their students and linked this to the improved relationships developed on the residentials. They were more relaxed in the classroom environment and were giving students more responsibility, freedom and independence, leading to a more positive teaching and learning experience. Residentials also had an impact on curriculum delivery, particularly in developing a more integrated and thematic approach. At one special school, staff noted that the residentials had helped them develop a more skills-based curriculum. They had used the residential to identify and develop key life skills. At another Secondary school, relationships developed with staff on residentials had resulted in a review of the alternative curriculum available within school and the development of a new curriculum, which better met the needs of students. Cross-curricular work undertaken on residentials also helped teachers identify just how many opportunities there were for taking a similar approach back in school. Most importantly, residentials gave staff a different context to discover things about their students they hadn’t seen in the classroom, helping them to develop a better understanding of their needs, strengths and limitations. Teachers saw students in a completely different light, for example quieter students becoming more confident and outgoing. During Learning Away, the more trusting relationships developed between staff and students on residentials also meant students often shared more about themselves, which enabled staff to better understand their behaviours. Teachers involved in Learning Away also developed stronger professional relationships with colleagues, as well as with other ‘experts’ involved in the delivery of residentials. The residential provided opportunities for them to develop relationships with staff they would not normally work with, for example from other subjects and from different year groups. This inspired and challenged them to think “even more outside the box”, developing their practice and being more creative. They returned from the residential with renewed enthusiasm, confidence and motivation. Taking part in residentials was a valuable mechanism for professional development; helping to enhance the skills of new staff, give experienced staff additional responsibility, and provide new opportunities to develop planning and organisation, evaluation and volunteer management skills. Senior leaders involved in Learning Away suggested that residentials enabled them to identify strengths in members of staff that may not have been apparent within the school/classroom environment, which they built on back in school and on further residentials. Peter Carne OBE: Between 2011 and 2016, Peter was the Project Leader for the Paul Hamlyn Foundation’s special initiative, Learning Away, which funded and supported schools to enhancing young people’s learning, achievement and wellbeing by using innovative residential experiences as an integral part of the curriculum. He is currently working with the new Learning Away ‘legacy’ consortium as their National Adviser. Blog written by by Lorna Fox, WWT’s National Learning Adviser. What was your best day of the school year when you were a kid? Was it sports day or the school play or, like me, was it the school trip? I wonder what memories pop into your mind when you think back to school trips. Probably for some, it’s simply the packed lunch, or maybe it’s holding hands walking in a crocodile. I hope that some, like me, remember going ‘WOW’ at some piece of art, or an experiment or an animal as it was transformed from weird to wonderful in front of your eyes, because seeing it right in front of you, it suddenly made sense. I was lucky. I was at a school that took us to amazing places where people took care to help us learn. Not everyone gets that experience. Not all schools, let alone teachers, have the resources and confidence to take pupils on a trip. And, when faced with a confusing choice of farms, museums, zoos and many other attractions, how does anyone know what quality of learning to expect? WWT has hosted school visits ever since we opened Slimbridge in 1946. More than two million school kids have passed through our doors, accompanied by tens of thousands of teachers and parent helpers. If you grew up near a WWT Wetland Centre, you’ll probably know a school visit as a rite of passage. But those numbers don’t mean much on their own. At the most basic level, we at WWT want to know that those teachers and parents and pupils all had a good time and they valued their learning experience. But we also have much deeper ambitions for the impact of our education work. In our world where humans are the absolute architects of everything around us, we want to nurture future generations that understand how to do things that are positive for wildlife. Crucially, we want them to feel that they can do things, big and small, that will help wetlands and their wildlife for the future. So we decided to try to find out whether we could assess what sort of impression a single school trip makes on a child. Over the course of a year and more we tracked 500 pupils aged 8-9 who came to visit a WWT wetland centre for a pond dipping session. We initially met them just before their visit to ask them some questions and then we caught up with them a further four times to find out what, if anything, was different as a result of their visit. There were some wonderful results. Nine out of 10 children still remembered their visit a year later, and many of those also remembered how to pond dip and the names of some of the pond creatures they found. Nine out of 10 pupils also said they’d learned something new and more than eight out of 10 agreed it was interesting. So overall, we can say with confidence that a school visit to WWT is a really memorable, enjoyable and interesting day. The research revealed some differences. Children from urban areas were more likely to talk about exotic or endangered species than their counterparts from the countryside and the outskirts of towns and cities. Initially there appears to be a difference in how a child responds depending on the economic wealth of the area where the kids are growing up. Visits to WWT wetland centres are funded by HSBC for schools where a high proportion of pupils are eligible for free school meals. In the short term kids from those schools had a marginally greater change of attitude towards wildlife – their interest in and benevolence towards wildlife increased more than others. However, the shift is only temporary, with attitudes and opinions returning to their pre-visit levels after six months. Does interest result in action? In fact, we found little evidence at all that a visit increased the pupils’ interest in actually doing something for nature in the long term. Even though, a year on from their visits, six out of 10 children still said that the visit had made them more interested in wildlife and nature, we believe that we could be doing much more to help them feel that they are capable of doing things to help the natural world. It’s tied to our ambition to empower young people. Following a visit we’d like the children to want to start doing small things at home and at school – such as creating a pond or putting up a bird feeder – which are good for wildlife. And once they see the results, it will increase their confidence and they will feel that they are able to do positive things for nature. Looking at the average of all 500 children we spoke to, it’s hard to find a significant change in the level of empowerment, but not all kids are the same. When we focus on the individuals we find some really pleasing results. In each class one or two children seem to have had a genuine change of heart around wildlife as a result of their visit. It’s impossible to tell from the research just how significant these individuals are. They could be having a positive influence on their classmates right now, or potentially their newly acquired interest in wildlife could in the future be influential on society more widely. We try to remember that David Attenborough and Peter Scott started off somewhere. We are always looking for ways to improve the experience for schools. Going through this really deep evaluation with such a large sample of pupils has been really useful for WWT. The results have strengthened the case for making changes we had planned already. And it has given us some new ideas for ways to work better. We’re creating an online learning zone that anyone can access via our website. This idea was prompted by the kids themselves and it will help teachers and parents help them to prepare and follow up on a visit to WWT, which we know really cements their learning. Weird and wonderful facts and discoveries stick in kids’ minds, so we’re maximising the wow factor. Did you know that water boatmen breathe through bubbles on their bottoms?? And connected to that, we’re putting a greater emphasis on the kids having a wild experience. Building dens, exploring off the beaten track, lighting campfires and telling stories all immerse the kids in their surroundings and create strong memories. And because they’re new experiences for most kids, they build their confidence and develop life skills such as managing risk and making decisions. There are lots more developments in the pipeline too. It’s an exciting time for WWT and for outdoor learning generally. We are now making the results public and sharing them with other organisations that run educational visits. Blog written by Lorna Fox, WWT’s National Learning Adviser. I am currently the national Learning Adviser for the Wildfowl and Wetlands Trust, responsible for leading WWT’s formal learning work across the UK. I have an overview of the learning teams at eight centres across England, Wales, Scotland and Northern Ireland and take the strategic lead, advising on a range of operational, logistical, practical and financial issues in relation to learning. I also advise to outreach and international projects as and when needed. I previously worked for London Wildlife Trust as their South Regional Manager, taking the strategic lead across ten South London boroughs, managing a staff team to deliver comprehensive and successful education, community engagement and practical conservation projects in South London. I advised on all education work pan-London at London Wildlife Trust and chaired the Outdoor Learning Advisory Group for the organisation. As well as acting as one of the national spokespeople for The Wildlife Trust’s on children’s engagement in nature, I became a Fellow of London Environmental Educators Forum, mentor/trainer to environmental education staff across the London region and a member of the Sowing the Seeds Committee. I have recently produced research on children’s perception of their environment, case studies in global environmental education practice, and co-published a paper on public awareness in marine education. More and more research is coming to light to support what we, in the environmental world, have always asserted – being outdoors is good for you! There are so many ways to spend time outdoors, but nothing beats staying into the night, sleeping by a fire or in a tent and experiencing the night sounds and darkness! Since 2004 we have been taking all age groups on camping residentials in woodlands – from one night to five days. What stands out is an urban group arriving with suitcases, hair all sorted, screaming at the sight of insects – then forward a few days, the group is giggling, relaxed, no make-up, playing games, all level headed around a fire. Residentials have the capacity to be life changing experiences – they draw out the best in people, bringing together diverse groups, rising up and through challenges – the most difficult of which is usually using the compost toilet! The natural world provides the space and time to feel a rare sense of freedom – and to get to know friends and other adults in a different way. “I never knew adults could have fun” said a young woman. We forget the adulthood often doesn’t appear very appealing. “Fire is better than T.V” said another. You can choose to be silent or talkative – there is space for everyone. Eating and cooking after a day out in a circle is always comforting. The level of tiredness after days of camping is also unique – it’s only known to those who have shed the outside world life and re-found a slower rhythm, where without mirrors we all look good and are eyes sparkle with a new clarity. With experienced facilitators you can follow the groups interests – from bigger team nature awareness games, to using tools for craft making, fire-making using a range of methods, creating instruments, making music and becoming an inventive community that is funny and interesting – all without technology and T.V! The nature space has this unusual quality that I have witnessed throughout the years that provides a certain equality – there is room for everyone and a diverse range of experience, and the forest atmosphere is very welcoming! Day one you rarely sleep well, then you find the deep sleep of a bear, that surprisingly opens you up to even more fun, despite you didn’t sleep enough. Then there is the possibility of seeing a sunrise – of stretching before breakfast in the very early morning, after the birds have woken you, or having a go at cooking where any mess goes happily unnoticed. You get to be somewhat independent, try out new things – and be away from home! It stretches you to live beyond what you are used to and, with support, this builds self-confidence and resilience. How many young people do you know that have seen a sunrise? There needs to be thousands more. What about walking in the dark – playing Fire Stalk? Char-coaled faces hiding in the shadows is exciting! One of our staff can call in the owls, we usually see glow worms and, for the more patient, we huddled down together to watch the badgers emerging. Inevitably we all want to eat! On longer camps we forage for local salad potentials, berries for pudding, grasses for cordage, and clay to make an oven. Barefoot, we squash the mud between our toes and make a make shift oven to cook bread and biscuits. We can do anything surprisingly! And on a residential we have the time to experiment and explore. Climbing, hammocks to sleep and play on, any type of shelter – we can sleep in our own debris creation, set up tarps if the weather changes, laugh with friends in a tent and hear the rain – surely a requirement of childhood. In an educational context, children can be more active by being outside, they are also able to learn more freely, engage more readily and be inspired, encouraged, challenged, and therefore improve their confidence and self-esteem. These positive effects are amplified even more when it comes to an overnight camp or residential. “I slept alone in a shelter that I had made, I never thought I would be able to do that. I feel more confident and have overcome my fears.” CLR Camp Participant, June 2015. In 2015 Learning Away published a report, (following 3 years of action research with over 60 schools and colleges) identifying the overall impacts of residentials for young people. “Learning Away has shown that a residential learning experience provides opportunities and benefits/impacts that cannot be achieved in any other educational context or setting. The impact is greater when residential’s are fully integrated with a school’s curriculum and ethos” York Consulting (2015). Read the full report here. It recommends that given the clear benefits of outdoor learning, more needs to be done to ensure that children and young people are provided with the opportunity to leave the classroom. Read the report in full. Circle of Life Rediscovery runs unique, nature-based camps for young people in a beautiful woodland environment in Sussex. Camps have a strong environmental basis and could include activities such as fire-making, tool use, cooking and foraging, team-building activities, art, story-telling, music and night walks. We also offer the John Muir Award, a National Conservation Award, at Discovery level. “I didn’t think that I liked camping but I have underestimated myself. The camp was amazing, I have not only learnt new skills but I have learnt to be grateful about everything around me. I have a new sense of confidence and believe in myself” CLR Camp Participant, June 2016. Please contact us on 01273 814226 or email Katie@circleofliferediscovery.com for more information if you are interested in organising a camp for your school. Each camp is bespoke and unique to your requirements. There are also free resources on the Learning Away website, include planning tools, models for lower cost trips and curriculum integration. Blog written by Marina Robb, Director, Circle of Life Rediscovery. 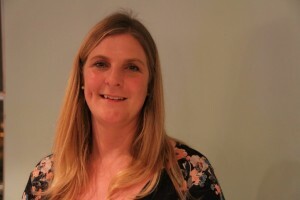 Marina Robb is founder and Managing Director of Circle of Life Rediscovery CIC, a leading outdoor learning organisation. She is Author of ‘Learning with Nature’, considered a must-have book for Forest School & Outdoor practitioners. Marina has been the recipient of funding from Natural England, Mind and The National Lottery, amongst other grant makers for her outdoor work with disadvantaged teenagers, families and young people. Marina is a senior practitioner for residential camps in Sussex woodlands, Forest School & training, nature-based training for adults, nature & health interventions, outdoor learning days and youth training programmes. It is widely reported that learning outside the classroom brings considerable positive impacts for students of all ages. Whether it be a visit to a local museum or a residential trip, such experiences can transform pupils’ learning by developing their skills and understanding, improving achievement and enhancing confidence and relationships. But the impacts don’t end with pupils, staff also benefit from delivering outdoor learning experiences. Learning Away highlights that teachers’ involvement in trips offers opportunities to try different approaches to teaching, as well as strengthens relationships with their students. These experiences have the most impact when integrated with the curriculum, and are reinforced once back in the classroom. Whilst the benefits are evident, there are barriers to teachers taking their students out of the classroom. Information compiled by the School Travel Forum highlights that for 64% of teachers, safety and risk are a concern when organising a school trip. Student safety is therefore a significant issue for teachers considering an educational visit. The safety and protection of students whilst under the care of school institutions has to be of paramount importance, but with the right measures in place these concerns can be eased. A strong supporter of outdoor education, the Health and Safety Executive (HSE) fully recognises that learning outside the classroom brings the curriculum to life, as well as helps pupils develop their risk awareness and prepares them for their future. The HSE states that ‘striking the right balance between protecting pupils from risk and allowing them to learn from school trips is essential for realising all these benefits in practice. Elaine recommends that anyone arranging a trip should put their learning objectives at the centre of the planning process, rather than starting with a risk assessment. The safety of young people is a fundamental consideration when organising experiences beyond the classroom, but ultimately it is learning that should be at the heart of planning a visit. Pupil safety should not deter teachers from offering their students opportunities to learn in a real-world setting. It’s these very experiences that enable students to put their knowledge and skills into practice in a new way, as well as gain considerable benefits as they develop as young people. Through effective planning and careful selection of providers, concerns over safety and risk can be mitigated. Teenager Ben* was reluctant to go on a three night residential with his school in East Kilbride. He was on the cusp of disengagement from his lessons and the cost of attending was too much of a financial burden on his family. After much encouragement from his teachers, the school cajoled Ben into going and supported him with the costs. The trip was a sports development residential offering Ben a chance to take part in sports he loved but had not previously been able to study in depth. Ben has now left school and is studying Sports Coaching at University. Ben’s story is just one example from the compelling findings of the Learning Away action research programme, which spanned 5 years with 60 primary, secondary and special schools, developing and testing a wide range of inclusive and affordable residentials ranging from camping in the school grounds, to staying in a palace. The action research produced overwhelming evidence about the numerous positive impacts a residential experience can have on pupils, improving their: resilience; attainment; relationships; and engagement with learning. Another school in Kent used their residentials to directly enhance attainment in core subjects for those students identified as borderline C/D. This made a life changing difference to student Mellissa* who had very low confidence and persistently refused to go to school. Following an outdoor activities residential in which core subjects like Maths were integrated into activities like archery, Mellissa left school with grade C and above in English, Maths and Science and went on to study at construction at college. Her teachers are convinced that without this residential Mellissa’s refusal to attend school would have almost certainly led to her becoming neither in employment or education. Whilst Learning Away believes all residentials have their benefits, they want to encourage schools to run highly effective ‘Brilliant residentials’ to get the very most out of these learning experiences. They are now campaigning to ensure that children of all ages from all backgrounds are provided with a Brilliant Residential experience in school. East Ayrshire Council is one of the first in the UK and the first in Scotland to announce that all pupils across their 54 schools will be entitled to a high-quality residential learning experience during their time at school. The Learning Away website www.learningaway.org.uk provides all the evidence you need to ‘make the case’ for residential experiences, as well as a series of practical free resources and over 100 good practice case studies. You can get behind the #BrilliantResidentials campaign, which is supported by further ‘legacy’ funding from the Paul Hamlyn Foundation by making your pledge or downloading the campaign pack. If you know a school who is providing high-quality Brilliant Residentials they read about the Learning Away champions school scheme.